We present a polarimetric analysis of the four-wave mixing (FWM) signal emitted by thick tissues, in order to extract structural information on molecular order and orientation. A careful analysis of the polarization distortions introduced by the birefringence of the sample is conducted for the proper interpretation of the results. FWM, compared to other well-known nonlinear optical methods such as second-harmonic generation, gives access to additional information on the symmetry of the molecular distribution. Furthermore, it brings the advantage of being generated in any kind of sample, even when centrosymmetry is present. The model developed here is applied to thick rat-tail tendon samples, composed essentially of collagen fibers. We show that, once the birefringence of the sample is completely characterized, it is possible to retrieve the even-order components of the molecular orientational distribution up to the fourth order of symmetry. M. Florsheimer, M. Bosch, C. Brillert, M. Wierschem, and H. Fuchs, “Second-harmonic imaging of surface order and symmetry,” Thin Solid Films 327–329, 241–246 (1998). C. Anceau, S. Brasselet, and J. Zyss, “Local orientational distribution of molecular monolayers probed by nonlinear microscopy,” Chem. Phys. Lett. 411, 98–102 (2005). S. Brasselet, V. Le Floc’h, F. Treussart, J.-F. Roch, J. Zyss, E. Botzung-Appert, and A. Ibanez, “In situ diagnostics of the crystalline nature of single organic nanocrystals by nonlinear microscopy,” Phys. Rev. Lett. 92, 207401 (2004). I. Freund, M. Deutsch, and A. Sprecher, “Connective tissue polarity. Optical second-harmonic microscopy, crossed-beam summation, and small-angle scattering in rat-tail tendon,” Biophys. J. 50, 693–712 (1986). P. Stoller, K. M. Reiser, P. M. Celliers, and A. M. Rubenchik, “Polarization-modulated second harmonic generation in collagen,” Biophys. J. 82, 3330–3342 (2002). P. Stoller, B.-M. Kim, A. M. Rubenchik, K. M. Reiser, and L. B. Da Silva, “Polarization-dependent optical second-harmonic imaging of rat-tail tendon,” J. Biomed. Opt. 7, 205–214 (2002). G. Cox, E. Kable, A. Jones, I. Fraser, F. Manconi, and M. D. Gorrell, “3-Dimensional imaging of collagen using second harmonic generation,” J. Struct. Biol. 141, 53–62 (2003). R. M. Williams, W. R. Zipfel, and W. W. Webb, “Interpreting second-harmonic generation images of collagen I fibrils,” Biophys. J. 88, 1377–1386 (2005). P. J. Campagnola, A. C. Millard, M. Terasaki, P. E. Hoppe, C. J. Malone, and W. A. Mohler, “3-Dimesional high-resolution second harmonic generation imaging of endogenous structural proteins in biological tissues,” Biophys. J. 82, 493–508 (2002). M. Both, M. Vogel, O. Friedrich, F. von Wegner, T. Künsting, R. Fink, H. A. Rainer, and D. Uttenweiler, “Second harmonic imaging of intrinsic signals in muscle fibers in situ,” J. Biomed. Opt. 9, 882–892 (2004). T. Boulesteix, E. Beaurepaire, M.-P. Sauviat, and M.-C. Schanne-Klein, “Second-harmonic microscopy of unstained living cardiacmyocytes: measurements of sarcomere length with 20 nm accuracy,” Opt. Lett. 29, 2031–2033 (2004). A. Zoumi, X. Lu, G. S. Kassab, and B. J. Tromberg, “Imaging coronary artery microstructure using second-harmonic and two-photon fluorescence microscopy,” Biophys. J. 87, 2778–2786 (2004). S. V. Plotnikov, A. C. Millard, P. J. Campagnola, and W. A. Mohler, “Characterization of the myosin-based source for second-harmonic generation from muscle sarcomeres,” Biophys. J. 90, 693–703 (2006). T. Yasui, K. Sasaki, Y. Tohno, and T. Araki, “Tomographic imaging of collagen fiber orientation in human tissue using depth-resolved polarimetry of second-harmonic-generation,” Opt. Quantum Electron. 37, 1397–1408 (2005). Y. Sun, W.-L. Chen, S.-J. Lin, S.-H. Jee, Y.-F. Chen, L.-C. Lin, P. T. C. So, and C.-Y. Dong, “Investigating mechanisms of collagen thermal denaturation by high resolution second-harmonic generation imaging,” Biophys. J. 91, 2620–2625 (2006). F. Tiaho, G. Recher, and D. Rouède, “Estimation of helical angles of myosin and collagen by second harmonic generation imaging microscopy,” Opt. Express 15, 4054–4065 (2007). C. Odin, Y. Le Grand, A. Renault, L. Gailhouste, and G. Baffet, “Orientation fields of nonlinear biological fibrils by second harmonic generation microscopy,” J. Microsc. 229, 32–38 (2008). S. Psilodimitrakopoulos, S. I. C. O. Santos, I. Amat-Roldan, A. K. N. Thayil, D. Artigas, and P. Loza-Alvarez, “In vivo, pixel-resolution mapping of thick filaments’ orientation in nonfibrilar muscle using polarization-sensitive second harmonic generation microscopy,” J. Biomed. Opt. 14, 014001 (2009). S. Brasselet, “Polarization resolved nonlinear microscopy: application to structural molecular and biological imaging,” Adv. Opt. Photon. 3, 205–271 (2011). J. Zyss, “Octupolar organic systems in quadratic nonlinear optics: molecules and materials,” Nonlin. Opt. 1, 3–18 (1991). J. Zyss, “Molecular engineering implications of rotational invariance in quadratic nonlinear optics: from dipolar to octupolar molecules and materials,” J. Chem. Phys. 98, 6583–6599 (1993). W. Min, S. Lu, M. Rueckel, G. R. Hotom, and X. S. Xie, “Near-degenerate four-wave-mixing microscopy,” Nano Lett. 9, 2423–2426 (2009). D. Akimov, S. Chatzipapadopoulos, T. Meyer, N. Tarce, B. Dietzek, M. Schmitt, and J. Popp, “Different contrast information obtained from CARS and nonresonant FWM images,” J. Raman Spectrosc. 40, 941–947 (2009). R. Selm, G. Krauss, A. Leitenstorfer, and A. Zumbusch, “Simultaneous second-harmonic generation, third-harmonic generation, and four-wave mixing microscopy with single sub-8 fs laser pulses,” Appl. Phys. Lett. 99, 181124 (2011). P. Mahou, N. Olivier, G. Labroille, L. Duloquin, J.-M. Sintes, N. Peyriéras, R. Legouis, D. Débarre, and E. Beaurepaire, “Combined third-harmonic generation and four-wave mixing microscopy of tissues and embryos,” Biomed. Opt. Express 2, 2837–2849 (2011). J. A. Squier, M. Müller, G. J. Brakenhoff, and K. R. Wilson, “Third harmonic generation microscopy,” Opt. Express 3, 315–324 (1998). D. Débarre, W. Supatto, A.-M. Pena, A. Fabre, T. Tordjmann, L. Combettes, M.-C. Schanne-Klein, and E. Beaurepaire, “Imaging lipid bodies in cells and tissues using third harmonic generation microscopy,” Nat. Meth. 3, 47–53 (2006). D. Aït-Belkacem, A. Gasecka, F. Munhoz, S. Brustlein, and S. Brasselet, “Influence of birefringence on polarization resolved nonlinear microscopy and collagen SHG structural imaging,” Opt. Express 18, 14859–14870 (2010). I. Gusachenko, G. Latour, and M.-C. Schanne-Klein, “Polarization-resolved second harmonic microscopy in anisotropic thick tissues,” Opt. Express 18, 19339–19352 (2010). F. Munhoz, H. Rigneault, and S. Brasselet, “High order symmetry structural properties of vibrational resonances using multiple-field polarization coherent anti-Stokes Raman spectroscopy microscopy,” Phys. Rev. Lett. 105, 123903 (2010). I. Rocha-Mendoza, D. R. Yankelevich, M. Wang, K. M. Reiser, C. W. Frank, and A. Knoesen, “Sum frequency vibrational spectroscopy: the molecular origins of the optical second-order nonlinearity of collagen,” Biophys. J. 93, 4433–4444 (2007). M. G. Kuzyk, K. D. Singer, H. E. Zahn, and L. A. 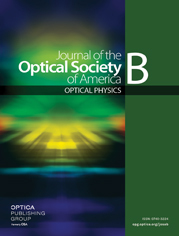 King, “Second-order nonlinear-optical tensor properties of poled films under stress,” J. Opt. Soc. Am. B 6, 742–752 (1989). M. Gurp, “The use of rotation matrices in the mathematical description of molecular orientations in polymers,” Colloid Polym. Sci. 273, 607–625 (1995). P. Schön, M. Behrndt, D. Ait-Belkacem, H. Rigneault, and S. Brasselet, “Polarization and phase pulse shaping applied to structural contrast in nonlinear microscopy imaging,” Phys. Rev. A 81, 013809 (2010). P. Schön, F. Munhoz, A. Gasecka, S. Brustlein, and S. Brasselet, “Polarization distortion effects in polarimetric two-photon microscopy,” Opt. Express 16, 20891–20901 (2008). F. P. Bolin, L. E. Preuss, R. C. Taylor, and R. J. Ference, “Refractive index of some mammalian tissues using a fiber optic cladding method,” Appl. Opt. 28, 2297–2303 (1989). Fig. 1. Definition of the molecular, microscopic, and macroscopic frames. The 3D plot represents a molecular distribution function. (a) Definition of the angles (θ,ϕ) that characterize the orientation of the molecular w axis in the microscopic (x,y,z) frame. We assume that the molecules (represented as arrows) are one-dimensional and oriented along the w axis. The z axis is set along the axis of higher symmetry of the molecular orientational distribution function. (b) Orientation of the microscopic frame (e.g., collagen fiber) in the macroscopic frame (X,Y,Z), defined by angles (ϕ0,θ0). Fig. 2. Truncated molecular angular distribution function f(θ) representing its even-order terms up to J=4, projected into the x–z plane, for different f2 f4 values. Fig. 3. FWM detection scheme. The incident beams are linearly polarized and propagate along the Z axis. (a) Pump and Stokes fields are focused at Z=0 μm (bottom surface of the sample). In this case, the polarization of the FWM signal emitted in the forward direction becomes elliptical after it traverses the whole thickness L of the sample. (b) The incident fields are focused at a distance Z=d from the surface of the sample. In this case, they are elliptical at the excitation point. The FWM signal is emitted in the forward direction, and it travels a distance Z=L−d in the sample. (c) Definition of the birefringence axis orientation Θb, which might differ from the local collagen fiber orientation ϕ0. Fig. 4. FWM images of the studied collagen fibers, at different in-plane positions in the sample. The images show the total FWM intensity (I=IX+IY) at Z=0 μm, normalized to 1. In the left image, incident polarizations are set parallel to the Y axis, while in the other two images, input polarizations are along the X axis. Points 1, 2, and 3 correspond to the spots where the polarization measurements are performed. Black lines, orientation of the principal symmetry axis of the orientational distribution function in the X–Y plane (ϕ0), given by the best fit of the polarization-resolved FWM intensities; black curves, in-plane projection of the orientational distribution function, truncated to its even orders (0, 2, and 4) and oriented in the macroscopic sample plane X–Y; dashed lines, orientation of the fast optical axis of the fiber (Θb), obtained by the fit of the sample birefringence. Scale bar: 10 μm. Fig. 5. Fitting of the birefringence parameters of the collagen fiber sample at position 3. (a) Experimental polarization-dependent intensity of the incident beam at frequency ω1 (dots) along X (black) and Y (gray), as a function of the incident polarization α1, given in polar representation. Solid lines correspond to the respective best fits, accounting for instrumental polarization distortions. (b) (Θb,Φb) cartography of the MSE. The four labeled minima correspond to the four possible solutions. Fig. 6. FWM intensities along X (black) or Y (gray) as a function of the incident polarization at Z=0 μm. (a) α1 rotates and α3=0°. (b) Both polarizations α1 and α3 rotate simultaneously. Solid lines, theoretical intensities given by the best fit; dots, experimental data. From left to right, the polar plots correspond, respectively, to positions 1, 2, and 3 (Fig. 4). Fig. 7. 3D plots, in the microscopic frame, of the even-order terms of the multipolar expansion of the molecular angular distribution functions, built from the fitted parameters f2 and f4 for positions 1, 2, and 3 (from left to right). Fig. 8. Experimental FWM intensities, measured at Z≈60 μm, along X (black) or Y (gray), as a function of the incident polarization. (a) α1 rotates and α3=0°. (b) Both polarizations α1 and α3 rotate simultaneously. From left to right, the polar plots correspond, respectively, to positions 1, 2, and 3. Fig. 9. Theoretical FWM intensities built from the fit set of parameters (f2,f4,ϕ0) of position 3, when focusing at different Z=d μm into the fiber (d/L varies from 0 to 1 with a step of 1/4). (a), (b) α1 and α3 rotate simultaneously. (c), (d) α1 rotates while α3=0°. (a), (c) accounting for the birefringence parameters (Θb,Φb)1=(58°,179°); (b), (d) (Θb,Φb)3=(148°,181°).